Y bueno, hoy os quería presentar el que, probablemente, sea su mayor competidor: el Smoky Earl Grey. Mantiene el fondo y cambia ligeramente la superficie con un aroma más ahumado, más masculino, más áspero... digamos que es una mezcla entre el té de las 5 y un club de fumadores con el mejor de los habanos como protagonista. Every year, during fall time, I try to make a change in my tea routine... I decide to try new flavours, new scents and always bring home two or three different types... but at the end of the season I see, once again, how these exotic teas have been used once or twice while we have consumed three or four pots of our beloved Earl Grey (such a common, simple tea you may think, but one cannot choose what you like and what you dislike, it just happens like that) . Anyhow, I´m showing you today the tea that is being the toughest competitor, the Smoky Earl Grey. 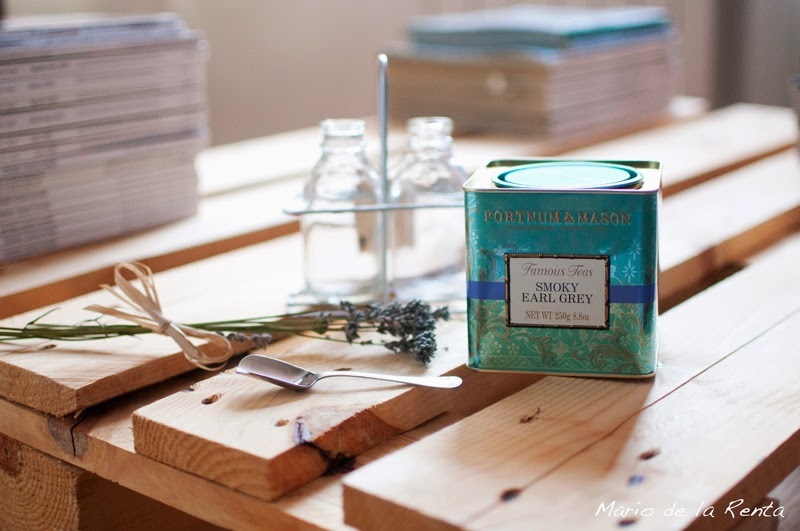 Keeping the basis but changing the superficial touch: smoky, harsh, masculine... it´s the perfect mix between the 5 o'clock tea and a gentlemen smoking London club. Have you tried it? ?